The first step of the process is for the prospective client to fill out the Contact Us form on the site. That was we can get some basic information about the "happenings" at the location. Upon receipt a Case Manager will be assigned to the case. The next step of the process is for the Case Manager to speak with you by phone and ask some basic questions on the when, what, and. where of what is going on at the location. This phone call is about ten (10) questions long and can take up to an hour, depending on all of the activity going on. The next step of the process is for two team members to meet with the client and conduct a in-depth face to face interview (about 50 questions) and perform a walk-through of the location. During this interview we are trying to get to the know the client better, learn more about what is happening at the location, and to make determinations on where we could setup equipment and the command center. At this time the client will be asked to sign some basic paperwork to get the process started. Based on this information an equipment setup plan is developed and brought to the investigation. Additionally a little bit of research is conducted on the location. When we arrive at a location we conduct a walk-through and make sure nothing has changed since the interview. A Command Center is setup and is where we run the investigation out of. This is the location where we setup the DVR that will allow us to monitor the location during the investigation as well as record the data we are capturing. The DVR will allow us to record up to eight (8) IR cameras a t one time. In addition to the DVR and IR cameras, we will setup several camcorders, digital voice recorders, thermometers, EMF detectors, trail cameras, data loggers, motion/shadow sensors, and other pieces of equipment that will allow us capture the necessary data to determine if something paranormal is going on at the location. Once all of the equipment is setup the team will split up and start doing Baseline Sweeps of the location. A Baseline Sweep means that we use an EMF (Electromagnetic Field) detector, ambient Thermometer, TriField Meter, Barometric Pressure Gauge, and CO Detector to take readings of the entire location (rooms in a grid pattern, outlets, lights, appliances, etc.) and obtain a baseline reading of the entire location (inside and outside). This baseline reading will assist us during the investigation if we get any EMF spikes. As the Baseline Sweeps are being recorded, one of our team members will take photos of the entire location. This serves several purposes, but the two main being a documented record of the location and equipment placement, as well as to see if we can capture any photo data. Before and during the investigation we will take several hundred photos of the location. We also log all data that occurred during the investigation, such as spikes, rotation state/end times and who is present, personal experiences, weather, moon cycle, etc. This information is added to the EMF, Magnetic Field, Temperature, Photo, Radio Wave, and Barometric Pressure logs gathered during Baseline Sweeps. An investigation will take between 6 and 8 hours. During an investigation we will use techniques to try to prove or debunk claims. We will also conduct EVP sessions, use triggers, take EMF and temperature readings, as well as use other methods to try and get the spirits to communicate with us. NOTE: To provide the best possible service to our clients and the equipment we have a policy that all non-investigators (residences) and pets be absent from the location during the investigation. We use very sensitive equipment that an pickup even the slightest of sounds. Simple sounds like a cat meow or dog walking in the location can contaminate the data collected, making data review hard if not impossible. We would not want to waste your time and not be able to provide you with the best investigation possible. If removing all of the residences is not possible, we must limit it to one adult (over the age of 18 years) and have that person sign a release waiver. Once the investigation is done we will review all of the audio, video, photos, and other data that we captured during an investigation. The review process will take 2 to 3 weeks to complete. During this time we will conduct more research on the location. We check to see what information we can find about the location and surrounding area. We check for anything that can explain the activity the client is experiencing, from wars, murders, accidents, etc. But we don't limit this research to just that. We also check the EPA report, geological information, weather events, water spills/environmental issues, number of communication towers nearby, etc. All of this information is compiled into a report for the client. Then once all of the information is ready we will then meet with the client and present the findings we have. Additionally, we will discuss any conclusions we came to from the data collected. The following is a list of some of the equipment, but not all, that we use during an investigation. LED flashlights are brighter and use less energy than other types. During an investigation we have all members carry 2, so that they have one for back up. 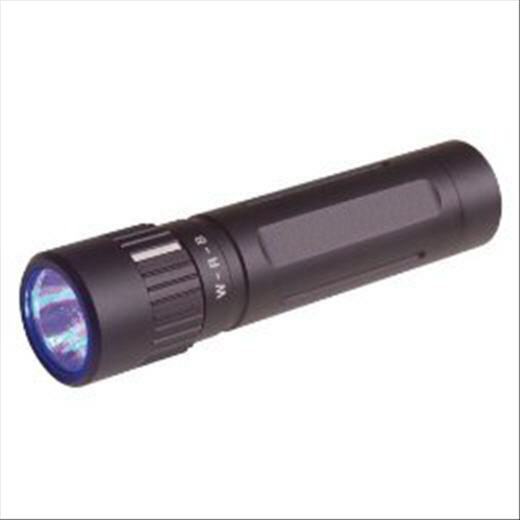 Flashlights are used with a red lens cover so that they do not interfere with the equipment. 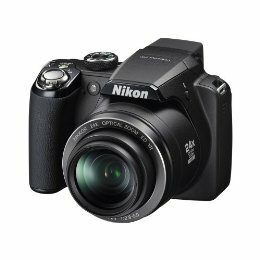 Digital cameras are used the capture data. We prefer Digital over 35 mm, because we can get more photos. Pen and Paper are used to take notes during an investigation. "Electro Magnetic Field Meters", the use of this device has been debated all across the paranormal community. Some researchers don't use them and some do. We bring them to every investigation because they can help us explain away many different claims of paranormal activity. What some people don't understand is that these electronic fields can cause the feelings of nauseousness, dizziness, the feeling of dread, the feeling of someone watching you and even minor or major skin irritations. Everyone reacts differently to the output of this energy field so not everyone is going to feel the same thing. Some people may not feel anything at all. This energy field can come from many appliances in your home. With the meters we can help detect any abnormalities that you may want to have checked out for the safety of everyone in the residence. A good meter will cost you over a hundred dollars to purchase and even more for a tech to tell you what the readings mean. It is not easy to go through hours and hours of data. In fact it is highly time consuming. However long the investigation was, that is usually how long if not longer it takes us to go through data. The use of audio editing equipment helps make that time well spent. To capture audio data such as EVP's, disembodied voices or any other paranormal sounds, we utilize a wide range of digital audio recorders. We will place these all over a location along with our investigators carrying them. Their use is also invaluable as the majority of data that is caught usually comes in the form of audio. With special audio editing programs we are able to review and playback our data for clients to hear. Without this technology half the data you may have heard of or seen could not be captured. A DVR system with Infrared cameras are setup throughout a location in the hopes of physically catching any paranormal activity on video. We use a system that has 8 cameras. A thermometer is used on an investigation to capture baseline and temperature changes during an investigation. The theory is that ghosts need energy to manifest and show themselves. To do so they take the energy out of the area around them, which can result in temperature changes. Please note you need to use an ambient thermometer (not pictured) to get the best baseline readings. The Zoom recorder is a great tool for seeking audio data while conducting investigations. 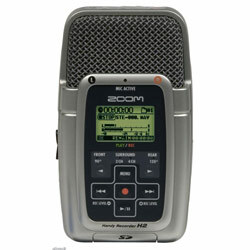 With the ability to record audio from 90 degrees to 360 degrees in studio-quality sound, the Zoom has proven to be one of the best tools for paranormal investigating. The Mel-8704 was specifically designed for paranormal investigators. It can be used in total darkness and captures EMF and ambient temperature simultaneously to provide instant feedback when there is an EMF or Temperature change in the surrounding area. This tool can record the information gathered.